Despite the wild success of numerous other tablets on the market the iPad is still dominant according to reports and sales figures. The Amazon Kindle Fire was expected to bring some serious competition and so far it has, but it hasn’t been enough to overtake the iPad. The latest reports are from just before the serious holiday shopping began, so after the holidays might be a different story but for now it definitely looks like the iPad is dominant still. Amazon’s Kindle Fire is selling incredibly well as predicted but for Apple fans it simply isn’t enough to sway them away from the iPad. 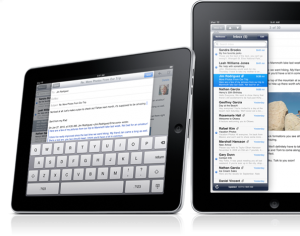 iOS and the iPad have done a great job creating brand loyalty that is apparently not able to be broken simply by lower priced tablets so the iPad 3 is sure to be a huge success once it comes out as well.